For his Bachelor of Music Degree, Stephen attended California State University Northridge where he studied with Oscar Meza, Assistant Principal Double Bass of the Los Angeles Philharmonic. After graduating Stephen was accepted to one of the top music schools in the country, The New England Conservatory of Music in Boston, Massachusetts where he achieved a Masters in Music. Here Mr. Pfeifer Studied with Donald Palma founding member and Bassist of the Orpheus Chamber Orchestra. Stephen was accepted in the Schleswig Holstein Music Festival where he toured Europe with Maestro Christoph Eschenbach and worked with other well-known conductors such as Heinrich Schiff, Mikhail Pletnev, Herbert Blomstedt and Kolja Blacher. Mr. Pfeifer now lives in Altadena with his wife and daughter. 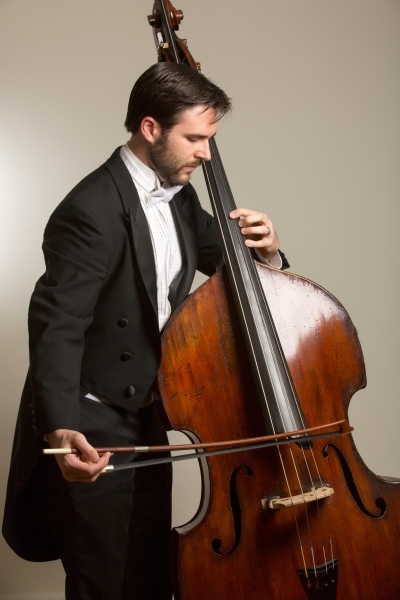 Stephen is Double Bassist for Wild UP and often works in the numerous recording studios throughout LA. He is a substitute musician with many Southern California Orchestras.